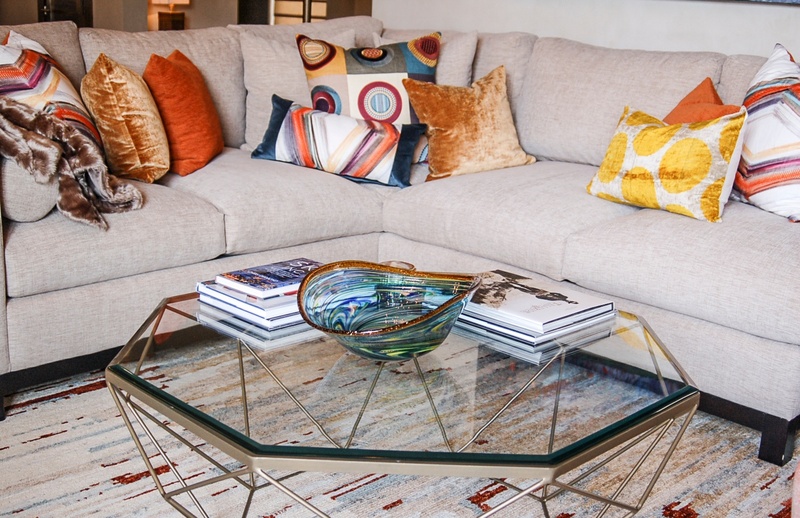 For Darlene Daugherty and Kim Gerardi, interior design is a family business. Darlene founded Darlene Daugherty Enterprises in 2005 and 10 years ago her daughter Kim joined. A location manager on major motion pictures in Los Angeles and New York, Kim’s eye for beauty was a skill Darlene was happy to add to her company’s repertoire. She describes the two of them as “one brain with two bodies” with strengths that complement one another. 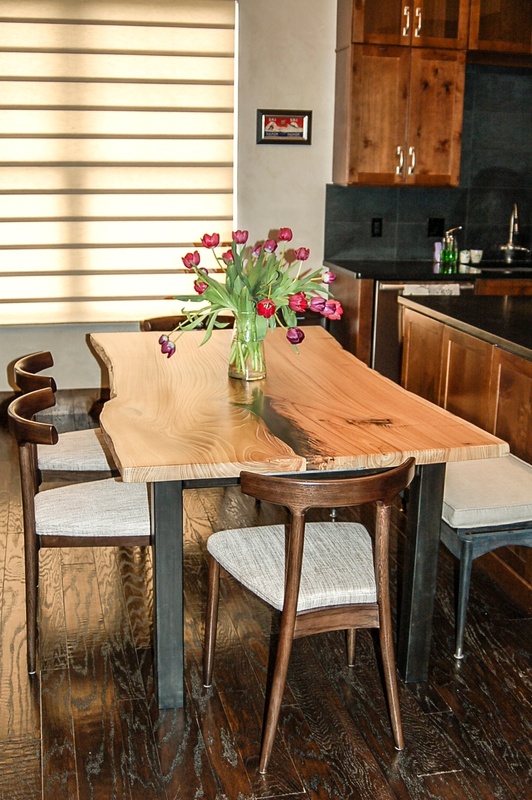 When Darlene and Kim were asked to design a home located in a gorgeous condominium complex in the Mountain Village of Telluride, they were excited. 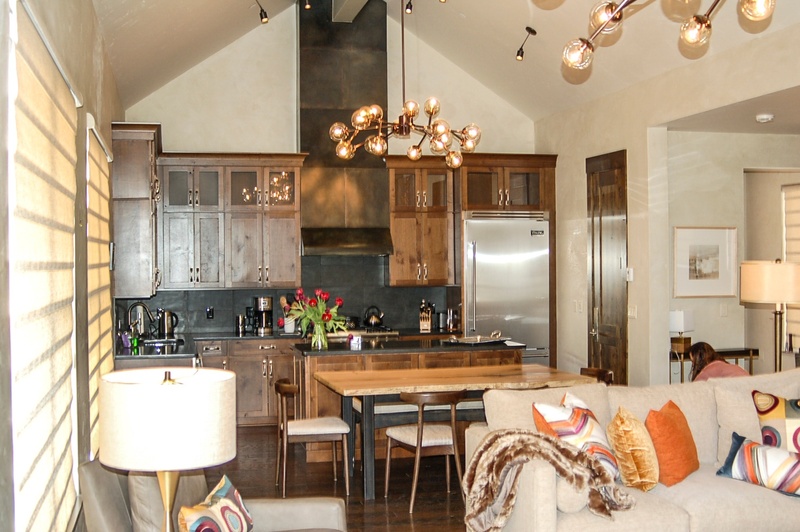 The 4,000 square-foot home features an open kitchen, dining, and living room space. Dramatic fireplaces can be found in both the living room and in the large master suite. Additionally, the home features two guest bedrooms, a den that has a sleeper sofa for extra guests, and an office space. There are also three full baths, a powder room, and a half bath. Mother-daughter design team Darlene and Kim wanted the decor to reflect the owners’ lifestyle because they are an active couple who enjoy outdoor activities like skiing, biking, and hiking with their handsome golden retriever and their many, many friends. 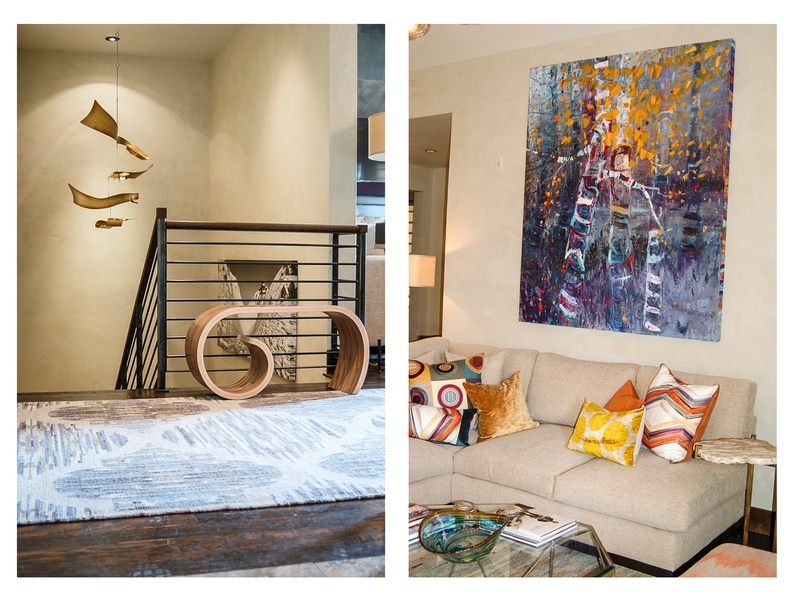 Both designers drew inspiration from their surroundings – from the flight into Telluride to the breathtaking views seen from every room of the condo. What is inside reflects and compliments what is outside. Colors were also chosen based on the seasons as the springtime green mountain forests, vivid summer wild flowers, red and gold Aspen trees, and vast blue skies above the snow in winter all contributed to the palette of the home. 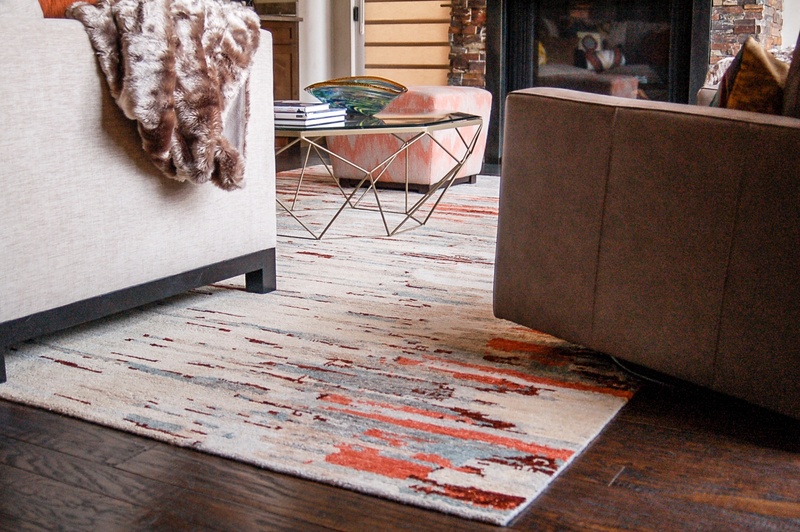 Rugs from The Scarab were placed in the front entry and in the main living room. Darlene says “they were chosen for their softness, durability, and amazing colors that worked perfectly with the art and the outdoor views in those spaces.” Two dramatic chandeliers were added in the living room which perfectly balanced with the rugs in both scale and design. They also complemented the Curtis Jere mobile sculpture hung in the entry stairway. Read more about Darlene Daugherty Enterprises.